﻿ The strength of SHOWA TOOL｜SHOWA TOOL CO., LTD. 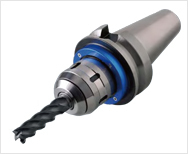 The strength of SHOWA TOOL｜SHOWA TOOL CO., LTD.
supported by high precision tools. 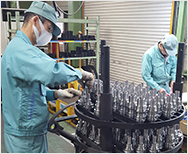 Since its founding in 1973, Showa Tool Co., Ltd. has delivered numerous precision machine holding tools to manufacturing and processing sites. In this page, we will introduce our strengths that have always supported technological innovation around the world by pursuing high precision. high runout accuracy by original mechanism. 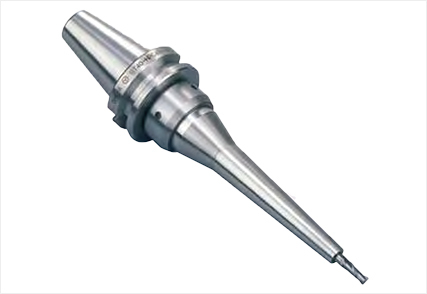 At Showa Tool Co., Ltd., we manufacture and sell "Micron Chuck" high speed, high precision and high rigidity, guaranteeing the shake accuracy precision 1 μm by the original mechanism. Its characteristics are while being High precision excellent convenience such as "grasping force equivalent to milling chuck", "design suitable for high-speed rotation and sealed structure" "able to maintain long-term accuracy without heating". Moreover, it corresponds also to a wide shank diameter. To solve the problem of milling chuck, we have developed Hy-Dual Chuck for difficult-to-cut materials. 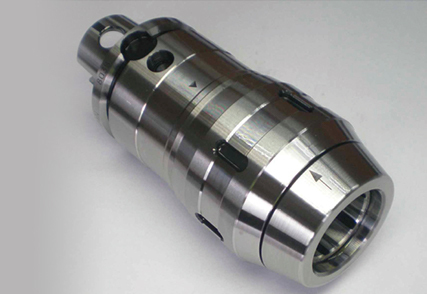 The Hy-Dual Chuck realized to suppress the "missing cutter" which is the biggest problem after inheriting the features and performance of Micron chuck. It is adopted at various sites requiring advanced precision machining. Our products are adopted at various sites. 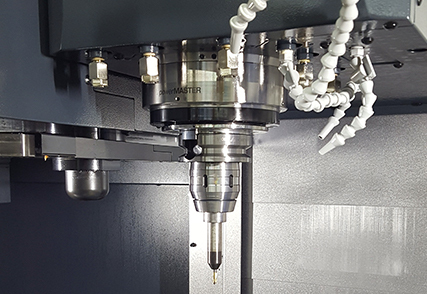 It is installed in machines that require advanced precision machining, such as automobiles, aircraft, medical equipment, and semiconductors. The high accuracy of our products is well received not only from Japan but also from customers all over the world. All our products are manufactured in Japan. Under thorough quality control, we sell only the tools that have been cleared to our standards, so it is possible to achieve high quality and high accuracy. Special manufacturing only for you. Please contact us if you have any troubles, such as "I want a shank that fits the machine I am using" or "I am in trouble because I can not get the tool." We also handle a wide range of special products. In addition to customer's inquiries, we can respond to not only sales but also manufacturing staff and also to specialized consultation quickly and accurately. We propose the best product for your needs. If you need High precision tooling , please leave it to Showa Tool Co., Ltd.